This GN-WS21N 802.11b/g/n Wireless Local Area Network (WLAN) PCI-Express Half Mini-card adapter is composed of the MAC, Baseband, and radio components, PCI-Express half mini-card interface, and two RF connectors with high throughput feature. 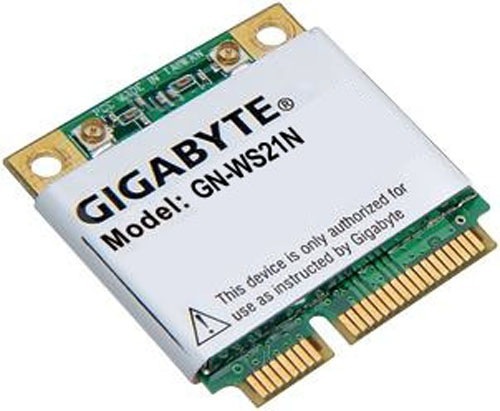 It operates at 2.4GHz frequency band, providing fast (up to 300Mbps) and secure (WEP 64/128, WPA and WPA2) connections to 802.11n networks from a single Adapter. It is backward compatible with 11b and 11g. GN-WS21N overcomes environment multi-path effect and to keep its stable wireless performance and running wireless anywhere.